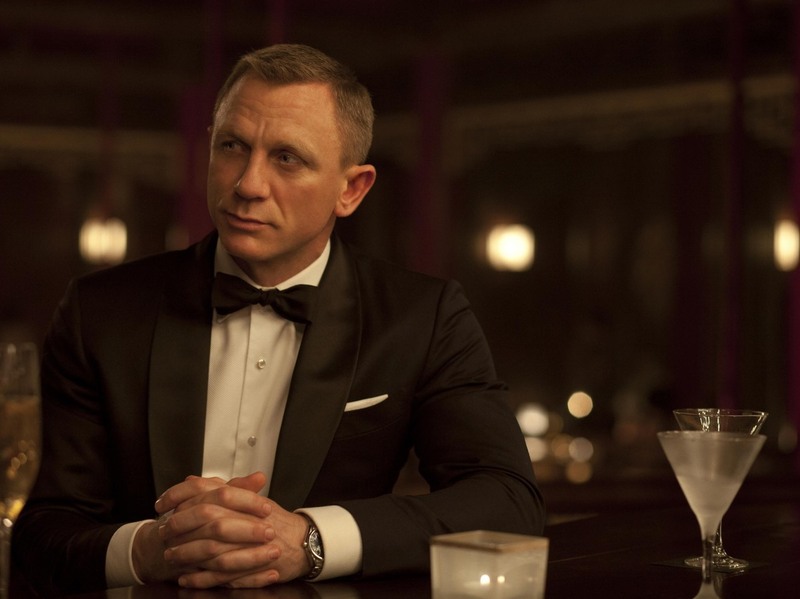 If You Drank Like James Bond, You'd Be Shaken, Too : Shots - Health News A painstaking analysis of 14 James Bond novels by some British doctors reveals that the international spy consumed six or more drinks a day, on average. He also went on benders that would have made his driving stunts downright suicidal. We all know James Bond had a hankering for martinis. But it looks like the international spy threw back far more Vespers, his martini of choice, than was good for him. Dr. Indra Neil Guha, a liver specialist, and his colleagues at Nottingham University Hospital in England spent a year poring over Ian Fleming's James Bond books and tabulating how many drinks the suave spy drank a day. 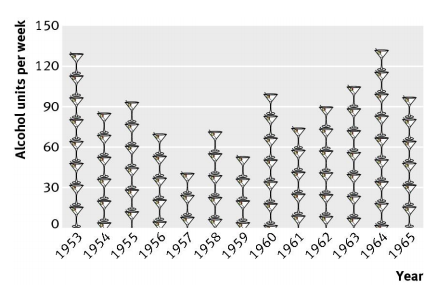 James Bond's drinking declined midway through the 1950s. But it picked up again later in his career. A typical drink contains about two to three alcohol units. Their conclusion? Even just steadying his Walther PPK might have been difficult for Bond. On average, Bond consumed about 45 drinks a week, or six to seven a day, the authors wrote Thursday in the Christmas edition of BMJ, formerly the British Medical Journal. That's way more than the amount considered risky for men by the National Institute of Alcohol Abuse and Alcoholism. It wasn't just chronic drinking that roughed up Bond's liver. He also went on some mean benders. In Casino Royale, Bond knocked back nearly 20 drinks before going on a high-speed car chase, getting in a wreck and then spending two weeks in the hospital. "We hope that this was a salutary lesson," the authors wrote dryly. "This man clearly consumed what are considered to be harmful amounts of alcohol," says psychiatrist Peter Martin, who directs the Vanderbilt Addiction Center. "There are data that show that drinking like this, about 100 grams of alcohol a day, is highly likely to be associated with liver cirrhosis and also cognitive deficits." It would also be likely to increase risks for depression and sexual dysfunction, conditions that would not be very Bondian. But Martin says, Bond's habit might not have been quite as bad it first seemed. For starters, the recommended maximum number of drinks is calculated for the average man, weighing about 154 pounds. "Bond was 6 feet 2 inches, or maybe 3 inches, tall, and probably weighed close to 200 pounds. So that would mitigate the numbers." Martin, an admitted Bond fan, adds, "You have to remember, this was the '50s. People drank more and smoked more." And Bond was hardly alone. "Think about how much a person like Winston Churchill drank," Martin says. "He drank a lot! But yet he ran the effort of the western nations in the world war. So this is not unprecedented." Duke neuropsychologist Scott Swartzwelder doesn't buy the Bond myth. He thinks all those Vesper martinis over the years would have hurt Bond's career. "Bond isn't going to be downing three or four martinis, and then winning a fight with five guys," Swartzwelder tells Shots. "He might be starting the fights, but he's not winning them." The old saw that every drink kills lots of brain cells isn't true, Swartzwelder says. "But chronic drinking does damage neurons and brain circuits over time," he says. "And there are parts of the brain that you don't want to damage if you're an international spy." First off, chronic alcohol abuse can injure the cerebellum, the brain region involved with coordination, Swartzwelder says. "It allows you to string together a series of athletic movements." "If Bond is pickling his cerebellum on a regular basis, he's not going to be able to learn fight sequences, jump through windows and shoot at the same time or even learn those dance sequences with his girlfriend," he says. The second brain region damaged by years of heavy drinking is the hippocampus, Swartzwelder says. Shaped like a little sea horse, the hippocampus is dedicated to forming new memories. "It is very sensitive to the effects of alcohol," he says. "Bond wouldn't be able to remember all those names, card numbers at poker games or even all his girlfriends' phones numbers if his hippocampus wasn't working correctly. " "Believe me," Swartzwelder says. "Bond wouldn't have been doing the things that we he was doing in those movies if he drank as much as the study found." And Swartzwelder thinks the authors of the BMJ study did a pretty good job of accurately calculating the spy's drinking habit. "The authors astutely counted the martinis as three alcohol units," or 1.5 drinks, Swartzwelder says. "Most college students — even many people — don't know what one drink is. So they underestimate their alcohol intake. A wineglass filled up more than a third of the way, that's more than one drink." Plus, he says, people have to be careful with beer these days because many of them have almost as much alcohol per volume as wine. "I went out for a beer with a young friend of mine, who's all into all these fancy beers, and I was drunk after drinking just one," Swartzwelder says. "Then I realized, the beer had more than 8 percent alcohol in it. It was like I was drinking a pint of wine." Update Dec. 13 at 3:12 p.m. ET: All Things Considered spoke with Dr. Patrick Davies, one of the study's researchers, about the findings. You can listen to the audio by clicking 'play' above.